When most people think of Yosemite National Park, the first thing they think of is Yosemite Valley. They either think of sights they've seen from the valley floor, activities they've enjoyed in the valley, or experiences they've had with friends or family in Yosemite's most iconic location. 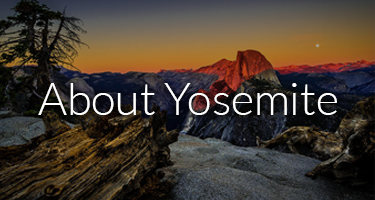 Yosemite Valley is home to a number of waterfalls, the famous Tunnel View, and views of El Capitan and Half Dome. It is also the place to go for a number of tours, great rock climbing and cycling, fishing, and rafting, among a plethora of other activities. Starting Your Visit in Yosemite Valley If you don't know where to start on your visit to Yosemite Valley, a great place to get your bearings is the Valley Visitor Center. This ranger staffed information desk, bookstore, and exhibit hall offers a great deal of information about the wildlife, plant life, history, and opportunities for adventure within Yosemite Valley. Yosemite Valley is also home to the Yosemite Museum, a gallery featuring American Indian cultural exhibits as well as exhibitions on Yosemite's history and art that change periodically throughout the year. 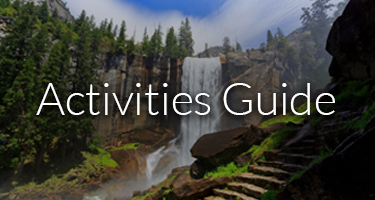 Great Yosemite Valley Activities Yosemite Valley is also a great central location for a number of spring and summer activities. Within the vast reaches of the valley you'll find countless miles of hiking trails, bike paths, and horseback riding paths. You'll be able to venture from the meadows to the forest, from waterfalls to rivers. You can take a photography tour, go on a guided walk, try your best at bird watching, enjoy some fishing in one of several designated fishing areas, take a relaxing swim during the summer, go ice-skating during the winter, or simply gaze at the stars all year long. This area also happens to be the starting point for some of the best rock climbing in the country. From Yosemite Valley you can make your way up Half Dome, El Capitan, or a number of other excellent climbs. Bouldering is another great option for climbers who only have a few hours to dedicate to climbing. Permits are required for a number of rock climbing routes in Yosemite, and these can easily be obtained from rangers at the park or online through the Yosemite National Park website. 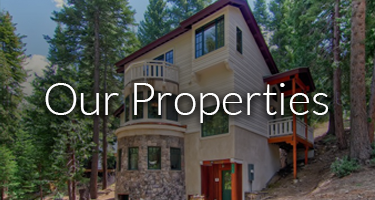 Affordable Accommodations near Yosemite Valley Whether you choose to visit Yosemite Valley for a rock climbing adventure or a relaxing artistic weekend, one of the best ways to enjoy your trip to Yosemite is with a cabin, home, or condominium rental from Scenic Wonders. At Scenic Wonders, we offer comfortable Yosemite accommodations within the gates of the park. The relaxing cabins and homes that we have to offer are just minutes from your favorite Yosemite Valley sights and activities. With lodging from Scenic Wonders, you'll be able to enjoy a full day of fun and excitement and then head home to a relaxing Yosemite cabin in a matter of minutes.